Love you all and say, "So long !" 1. 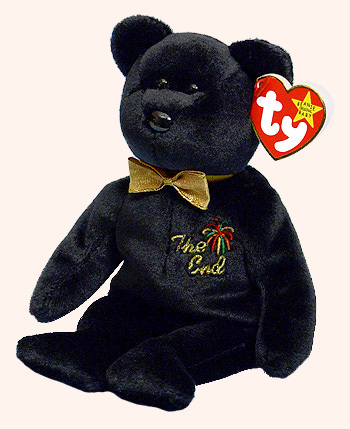 The End was intended to mark the retirement of the Beanie Baby product line at the end of 1999. 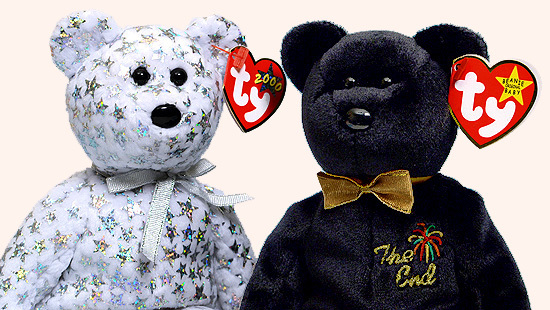 After collectors worldwide protested the impending demise of Beanie Babies, Ty continued production. 2. 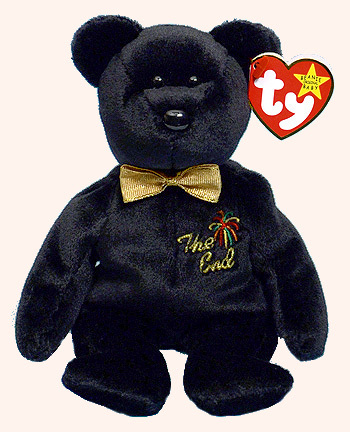 The Beginning (style 4267) is often associated with The End because it heralded many more years of Beanie Babies. 1. The End missing its embroidered chest emblem. 2. The End missing the word "End" on the embroidered chest emblem.